They played for two-plus seasons with the Dallas Stars, from 2005-08, one a revered veteran with three Frank Selke Awards and a Stanley Cup to his name, the other a respected up-and-comer with a willingness to learn. On February 26, 2008, Jokinen was dealt to the Tampa Bay Lightning. Since then, he’s suited up for Carolina, Pittsburgh and currently patrols left wing for Florida, where he’s an alternate captain. Lehtinen went on to skate in 875 regular season NHL games, all with Dallas, the right-winger calling it a career on December 8, 2010. They were teammates on the Finnish entry at the 2006 Winter Olympics. Lehtinen contributed three goals and eight points, while Jokinen tallied one goal and four points. The duo has been reunited, so to speak, for this year’s World Cup of Hockey, Lehtinen in the GM role, Jokinen as one of 13 forwards. 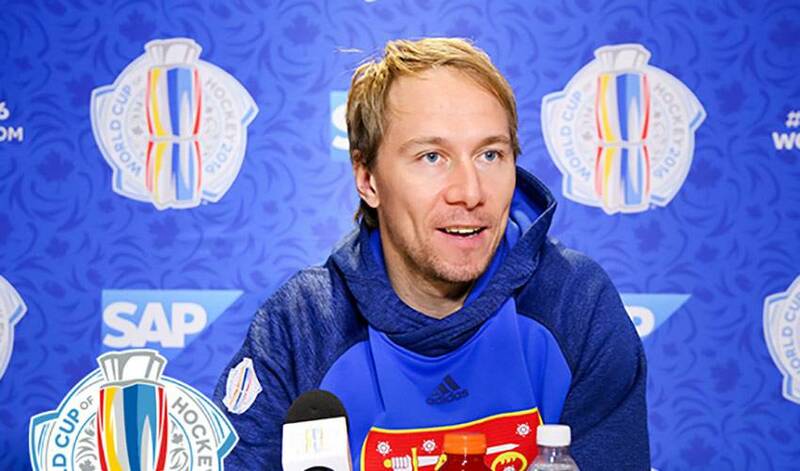 Jokinen will be relied on heavily, both on the ice and as a leader, when the puck drops on the World Cup. Finland takes on North America in their first round-robin game on September 18. Those words very easily could be applied to Lehtinen. While Finland might be flying under the radar when it comes to medalling at the World Cup, Jokinen is embracing the dark horse status. Jokinen, known for his shoot-out prowess, also has a familiar face in his corner.